It is designed to primarily compete with Copur Apartments, Reed Place and Wallace Manor. 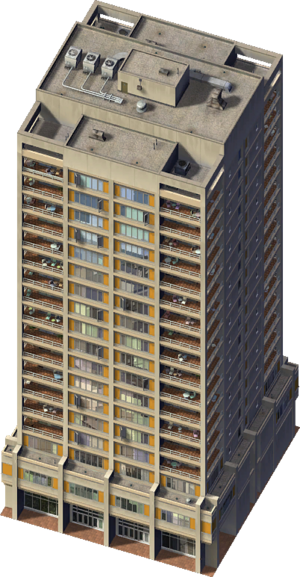 The compression on this building was particularly aggressive and multiple parts of the renders are cut off. The ones used for the image in this article have had those flaws corrected. This page was last modified on 12 June 2014, at 15:06.